This pot debate going on in the States has reached epic proportions dude!! The best argument for the pro-pot crew is comparing marijuana to alcohol. Alcohol is linked to roughly 75,000 deaths in America per year. Marijuana is a plant that is basically impossible to overdose from. You would have to consume roughly 15,000 lbs in 15 minutes to do so. However the media, and literally millions of Americans still shout that pot is bad and shouldn’t be legalized. Meanwhile, they have absolutely no problem consuming their own choice of poisons. Why? Well, because that’s THEIR life! Some people are so predictable. They preach against something, but the minute that it effects them negatively, they’ll switch their opinion in a heartbeat. You don’t see too many people with relatives suffering from seizures preaching about how they shouldn’t be able to smoke a plant that can dramatically help them. 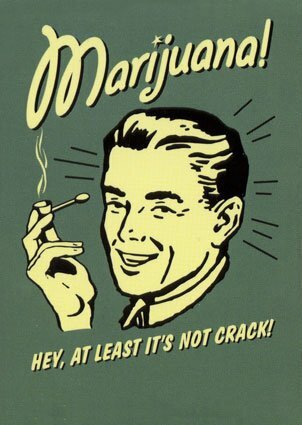 President Obama has just come out and declared the obvious, that marijuana use isn’t as bad as alcohol. He also again admitted that he smoked it many years ago. Shame on him for continuing to lock up tens of thousands of people over a plant, that he himself has used. Of course people like Barack and other rich folks don’t serve time for marijuana use, but that’s a whole new equally unfair story. Fully legalizing marijuana, will be a major change and it will have some negative impact on society. But it’s the right thing to do. So I say, get over it! Also what about Hong Kong! Do you think marijuana use will ever be allowed here? Very tough to imagine so… Why do you think that is? This entry was posted on January 24, 2014 by theguestroom in myHK.